There were two major types of buttons. 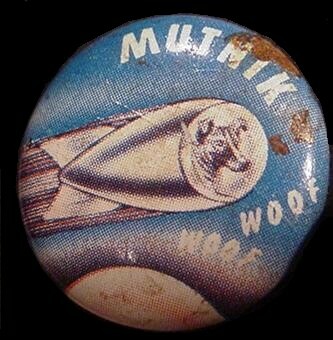 The older pinbacks were tin and had to utilize sci fi rockets for their graphics. 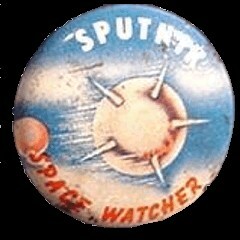 Once Sputnik was launched, a lot of Sputnik themed pinbacks appeared. 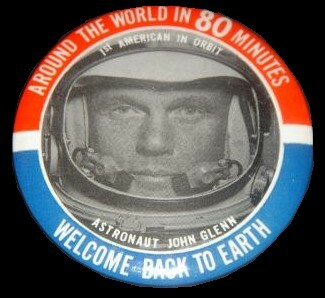 The second major type is the padded pinback that documented a specific flight event. The older ones sometimes had ribbons and sapce capsules hanging from them. I WILL BUY YOUR SPACE MEMORABILIA! Note: A photo does not necessarily mean I have acquired the item. 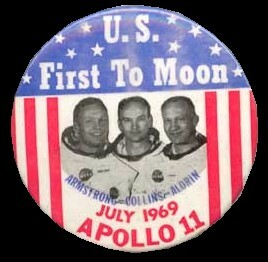 I also collect commemorative flight pins, mission pins, space program pins, and some older tie-tack type of pins.